Most tire-pressure-monitoring systems let you know when your tires are underinflated, but they don’t all tell you which one, or ones, are problematic. 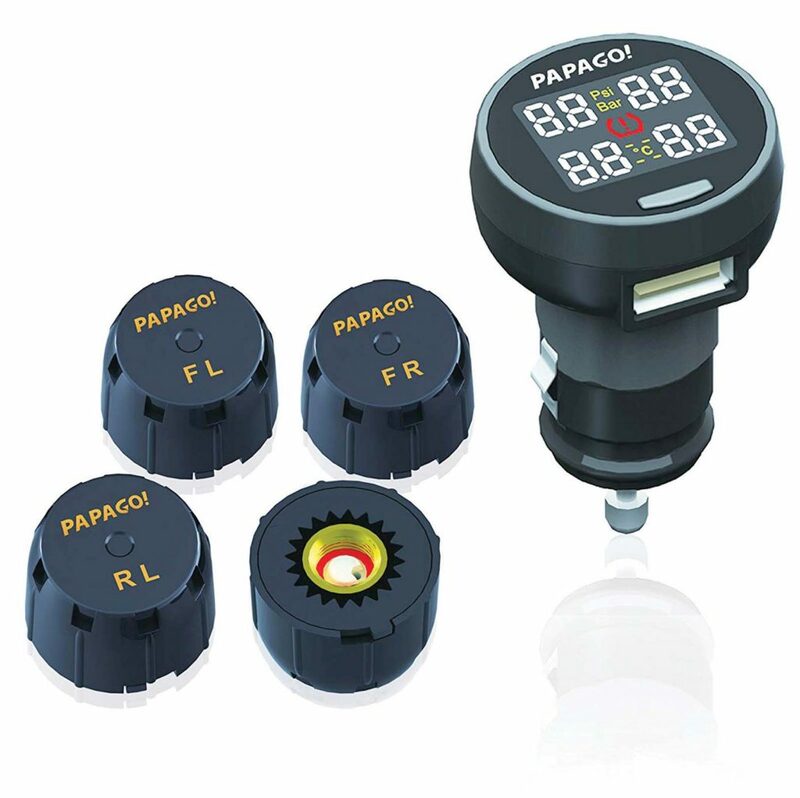 The Papago TPMS 100 wireless monitor lets you know how your tires are doing at all times. The system includes four tire sensors plus an LED monitor that plugs into the vehicle’s 12-volt socket. It displays each tire’s status and issues an alert if any of them are under or overinflated, or if any of their temperatures become too high. At the same time, the monitor’s built-in USB port lets you charge your cell phone. Purchase the Papago 100 for $75 from a number of online retailers including www.amazon.com. You can also view Papago’s complete lineup at us.papagoinc.com.